Hello soccer lovers! Are you looking for the best soccer games for Android? At least football lovers have a chance to play the game on their smartphones or tablet or even in their PC. 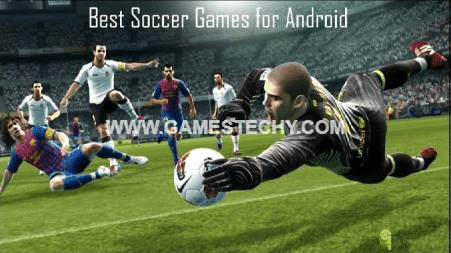 This post is created to list out some of the 20 best online and offline soccer games for android 2018 or best football games for Android. In this write-up, our best picks are Top Eleven 2018, FIFA Mobile Soccer, Dream League Soccer 17, Score Hero, Head Soccer La Liga 2018, Score World Goals 2018, Street Soccer 2018, FIFA 16 Soccer, Final Kick, Head Soccer La Liga 2018, FIFA 16 Soccer, Real Football, FIFA 19 Soccer, Pro Evolution Soccer (PES) 2019, First Touch Soccer (FTS) 2019, FIFA Soccer 2018, Winning Eleven 2018, Dream League Soccer 2018 [DLS 18], Pro Evolution Soccer (PES) 2018, Football Players Fight Soccer, SkillTwins Football Game, Flick Shoot (Soccer Football) and Stickman Soccer. 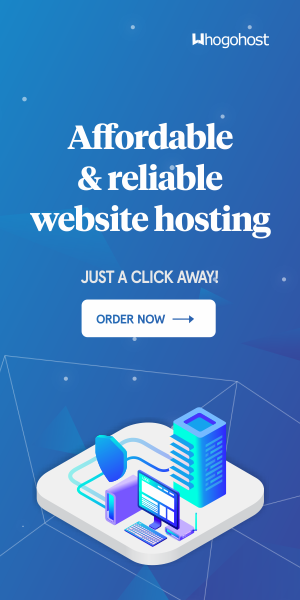 These 20 online and offline football games, among other benefits, allow you to customize your team by adding any players of your choice and also enable you to enter into competition against friends as well as family. Read on to learn how to download these soccer games on the Google Play Store for your Android smartphone or tablet. Top Eleven 2018-Be a Soccer Manager is one of the most addictive online football game in 2018 and the best soccer games for Android. Be a Soccer Manager it lets you play a manager role for the team as the real manager in football. There as a Manager you will have to create your own Team, train hard and apply the best strategies to beat other managers. Here you’ll have to compete with others players in online and so act just like as if your in the real world where football managers compete for each other to win over them. You can also join and play in Cups, Leagues, and Friendlies. FIFA Mobile Soccer is a football simulation video game developed by EA Mobile and published by EA Sports for iOS and Android which comes up with a download size of under 100mb available on play store. FIFA Mobile is way bigger and better now. Dream League Soccer 17 has become one of the most played games in 2018 and one of the best soccer games for Android, and it is better than ever like other soccer games. It lets you build the best football team on this planet. You can recruit real FIFPro™ licensed superstars, build your own stadium, and lead your team to achieve victory in every Cup and let the world knows that your team is the best team on the planet. Score! Hero develops by First Touch Studio comes out with a great entertaining soccer game with great graphics. Unlike other soccer games, you can only control one player instead of controlling the entire team. Also, instead of playing the entire match, you only participate in a number of key plays in each match. This means that sometimes you’ll be in a substitute bench and not played for the 90 minutes match. Final Kick comes out with the most realistic graphics and it is simply amazing at the very start of the game. It is basically a penalty shootout game developed by Ivanovich games. In this game, you will have to shot a penalty as well as you have to block a penalty shot as a goalkeeper. Head Soccer La Liga 18 is the official game for Spanish League Soccer for 2017-2018 season offered by Liga de Fútbol Professional. This game somehow looks funny and entertaining with all players are in a cartoon-like and maybe this is the reason why it gets a lot of attention to many gamers. FIFA 16 Soccer lets you choose from over 10,000 in-game players from over 500 licensed teams and battle against other players from real leagues in real arenas from around the world. It is among the best soccer games for Android or best football games for Android. Experience Real Football as real as it gets. Real Football comes up with great stunning visuals with a 3D stadiums, polished shadows, detailed textures, and spectators all come together to provide an exciting atmosphere! The gameplay is simple, direct, and fun. You can adjust the strength of your passes and shots, do sprints and deep passes, manually change players at any time, etc. FIFA, a game developed and circulated by Electronic Arts otherwise known as EA Sports, comes with many improvements that have made it better than the previous iteration of the game. The FIFA 19 Mod Apk comes with an improved gameplay which gives better controls to the player as well as an incredible treat of gorgeous visuals. This article aims to take you through a few steps of the game from download to the actual gameplay. PES is a very popular football game and to some, the best football game there is. PES 19 is the latest installment in the Pro Evolution Soccer game for Android. It comes with a whole lot of improvement over its predecessor and last year’s PES 2018. The mod version brings some new things to the games. For one, it has the lastest and up-to-date players in their current clubs/countries. First Touch Soccer 2019, also known as FTS 19 is an awesome and exciting football game specifically built for Android devices. For the past few years, it has gained popularity amongst gamers as one of the best soccer games on android devices, alongside PES and FIFA football games. The game is also known as FTS 19 and FTJ v2. Fifa 18 for android had been one of the most anticipated game of this year. This game was developed and published by electronic arts and it will be released on september 29, 2017. You will be able to play this game on Microsoft Windows, Xbox 360, Xbox One, Playstation 3, Playstation 4, Nintendo Switch, Android and iOS. Finally, EA games decided to develop fifa 18 for android devices as well which is a huge step up. Now, You can play Mod FIFA 18 on your phone where ever you go. You will be able to resume story mode from where you have left in your PC or other console. Winning Eleven 18 APK As expected in every game and application, Winning Eleven 2018 (WE 18) is a soccer game which is designed to be compatible with almost all Android-powered devices regardless of their low-end specs if there are, even though it won’t work as expected on devices with lower RAMs but for sure, the game will play. Dream League Soccer 2018 also known as DLS 18 is here, and it’s better than ever! Actually DLS18 just got a brand new update including new updated graphics, new soundtracks,new team data,logo and new features. Recruit real FIFPro™ licensed superstars, build your own stadium, and take on the World with Mod Dream League offline so you wont need any internet connection to play it. PES 2018 -Pro Evolution Soccer is a sports video developed by PES Productions and published by Konami. It comes with features which include improved passing, Real Touch ball control, and improved goaltending technique. It includes fully licensed Arsenal, Atletico Madrid, and Barcelona teams. The cover of the game features Barcelona players Neymar, Lionel Messi, Luis Suárez, Ivan Rakitić, and Gerard Piqué, as well as the team’s home stadium Camp Nou beneath the UEFA Champions League starball design with an Adidas Finale football on the pitch. PES2018 is one of those best soccer games for Android you should try. Football Players Fight Soccer is a unique game unlike other football games developed by Bambo Studio. It is a game where two players fight each other on the soccer field. In this game, players are using some kicks and punches trying to knock out the opponent without receiving any red card. The game lets you feel the action on the pitch without any referee. You can pick any of the most killer soccer players to win the tournament. These are the best soccer games for android. These games will definitely help kill time as well. If you know any other fun soccer games please let us know through the comment box below!